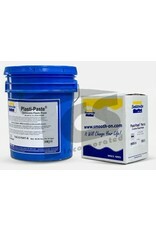 Plasti-Paste is a two component fiber resin that is designed for vertical surface application. Part A is a liquid and Part B is a paste. Mix ratio is 1A : 3B by volume (41A:100B by weight). It has no odor and pot life is 8-10 minutes depending on mass. 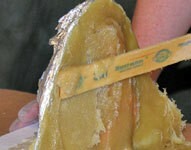 Demold time (can be handled) is about 90 minutes depending on mass. 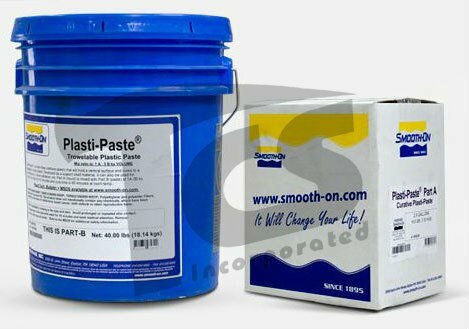 Plasti-Paste holds a vertical surface without sagging and cures to a strong, durable and lightweight plastic. 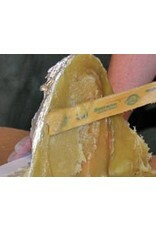 Suitable as a mother mold / support shell (reinforces shape of rubber mold during casting), or as a laminating material. Can be pigmented with So-Strong color tints from Smooth-On. Add cabosil or other filler as an extender or for special effects.